Antique Chair Approx: 125-135 years old. 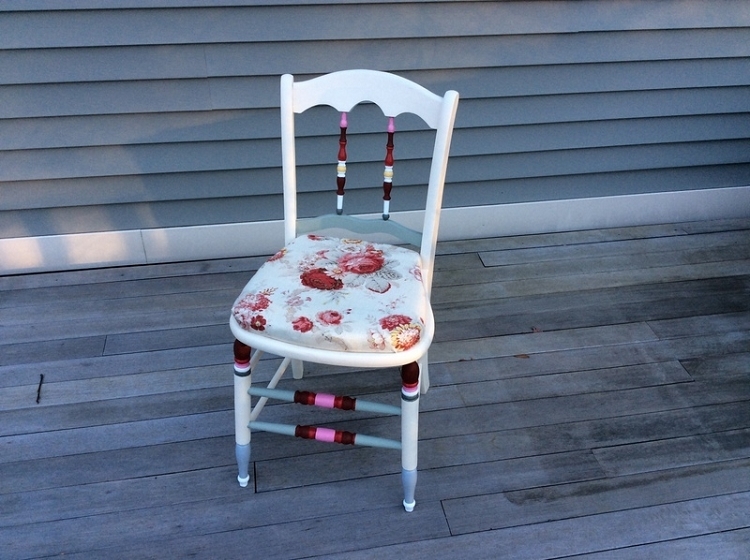 This chair is Heirloom White which perfectly matches the Williamsburg fabric of" Norfolk Rose". The hand painting of chair details captures the beautiful fabric and chair structure. A soft mellow piece which will grace any room in your home. Price:$ 175.00 plus S&H. Local pickup by arrangement.